New Delhi : After watching Super Blood Moon in January, sky watchers are all set for another stunning sight tonight as a Super Snow Moon. Dubbed as Hunger Moon, it will be February's full moon which is going to be the biggest Super Moon of the year. Today, the Moon will be just 356,846 km away from the Earth, in contrast, this year's farthest full moon on September 14, 2019 will be at 406,248 km away from our planet. This February full moon is important after a Black Moon in February last year. Snow Moon is a name given to February moon by Americans and Europeans as it is a month associated with heavy snowfall. Similarly, the hunger moon name comes from the lack or limited availability of food during winter. Other names of the February moon are storm moon, ice moon or bone. Now Super Moon is a term used to describe a full moon that happens when Moon is closed or near its closet to Earth. 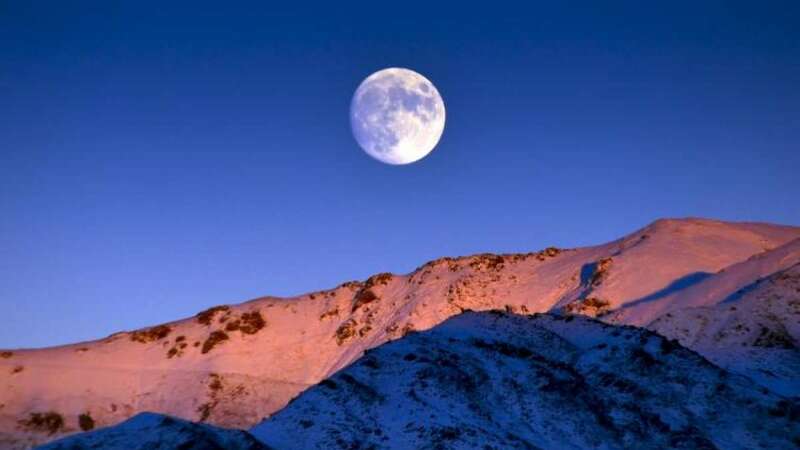 When is the Super Snow Moon 2019 visible in India? According to NASA, the Moon will be closest to Earth for its orbit at 2:34pm IST on February 19 but the full moon will be at 9:24pm IST on February 19. Although in India, you won't be able to see the Moon at its closest because it is falling during the day, the full moon will be visible in the country. At 9:24pm IST, one can look to the sky and enjoy its gorgeous sight. You can also get on the roof of your building to watch the Super Moon live with your eyes, given there are no clouds. The next full moon is falling on March 20 and it will also be a Super Moon. But, the Moon won't be as close (360,772 km away) to the Earth as it is tonight. The March moon is called a Worm Moon, so the next month's Super Moon will be dubbed Super Worm Moon.